The restaurant and food service industry in Montana accounts for over 12% of the employment in the state. Over $1.8 billion in projected sales is expected this year from Montana’s restaurants. Highly skilled culinary professionals are in demand as the industry grows. An estimated 5,800 jobs are expected to be added by 2026. 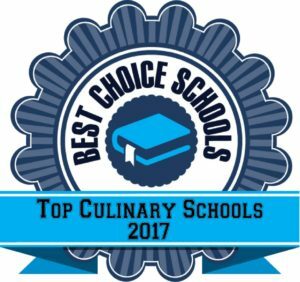 We created a ranking of the top five culinary programs in the state of Montana. We included a variety of programs at all levels of the career ladder. Schools selected for our list incorporate hands-on training by culinary professionals, state- of-the-art commercial kitchens, internship or on the job training opportunities, and a variety of coursework. Several of these programs offer unique features not found in typical culinary schools. The Fortin Culinary Center offers a unique culinary program for adults who seek permanent employment and training in the area of culinary arts. Fortin offers a 10-week training program taught by an experienced professional chef. Students learn food safety and preparation techniques in a commercial kitchen environment. In additional to culinary skills, students also benefit from time management and job skills. Students at this top culinary school have the opportunity to job shadow during the last two weeks of the program and receive a certificate of completion from the Montana State University. The Community Café in Bozeman, Montana features a Culinary Arts and Workforce Training Program which provides basic skills and food service operations training for those in need of a stable career. Program participants benefit from culinary training by experienced professionals as well as life skills. Students complete both an internship and on the job training to develop professional skills. The Café also partners with Bozeman High School to offer the ProStart culinary program. Students in the program took 1st place at the Montana ProStart Invitational. Montana State University offers a unique Bachelor of Science degree program in Food and Nutrition with a Sustainable Food Systems Option. Students in this top culinary program learn hands on culinary skills in addition to organic gardening, food processing, food cooperative management, and small business operations. Students learn about the connections between food production, policy, security, and health and are able to address issues related to obesity, food insecurity, and food safety. Students complete an internship in their specific area of interest and work closely with faculty to arrange additional hands-on experience opportunities. Flathead Valley Community College is a top culinary school featuring an AAS in Culinary Arts. The classroom is a 3,224 square foot state-of-the-art instructional kitchen with an Alto-Shamm, blast freezer, Cryovac machine, a pizza oven, and liquid nitrogen for freezing ice cream. The program is more affordable than some larger culinary schools while offering the same world class instruction, work experience, and certification opportunities in an 18-month format. Coursework covers areas such as human resource management, basic accounting, management skills, the workflow and layout of professional kitchens, and station organization/line management. Throughout the semester, students convert their kitchen into the Chef’s Table, where they prepare and serve world class meals to the public in a fine dining setting. Students also have the opportunity to learn catering skills at large on-campus events. Missoula College features both an AAS Degree in Culinary Arts and a Certificate in Culinary Arts where students learn theory, training, and gain professional experience in the field. Students can participate in culinary competitions while they earn their degree or certificate. Missoula boasts a state of the art kitchen facility and professional instructors with many years of culinary training. Students will soon have the opportunity to experience cooking in an Asado pit, which is being constructed on campus, allowing students to gain experience in a unique type of barbecue cooking. This top culinary school is accredited by the American Culinary Federation which means that graduates are eligible to become an AFC Certified Culinarian.